An aged care specialist and respected industry leader, Martina Costanzo founded Golden Age Placements to provide an independent and accurate aged care service. She offers valuable insight, clarity and support as you journey into aged care. 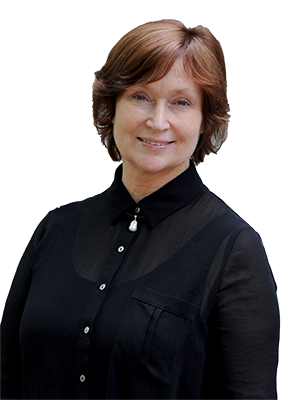 With over 35 years of industry experience – from intensive care to community, rehabilitation and aged care management roles – Martina brings assurance and a sense of relief to her clients, during what is often a difficult time. At Golden Age Placements, Martina deftly walks clients along the path to finding the ‘right’ home. She communicates with ease and integrity: explaining all of the documentation, requirements and essential hurdles, to navigate this sector. Martina has a profound understanding of all current legislation and appreciation for the unique circumstances that envelope individuals and families at this time. Whether you’re in need of urgent care for a loved one or planning your own care, Golden Age Placements will guide you along a path that suits your life scenario. Smooth the journey into aged care – start the conversation today. With over 35 years’ experience working in the health sector, Martina has established supportive networks and is respected by her peers. She values a collegial approach when working with other industry professionals and aligned aged care services. With qualifications in general nursing, intensive care, understanding dementia and project management, Martina has amassed a wealth of experience in the health sector. She established a central admissions process at Benetas and worked at Blue Cross as Client Services Manager, stepping clients through the maze of placing a loved one in aged care. Martina is sensitive, compassionate and knowledgeable in dealing with diversity including cultural requirements and LGBTI. Martina is committed to ensuring the process of finding the right home is efficient and streamlined for any person who needs to move into aged care. Appreciating that this is a sensitive stage of life – for individuals, families and their children – Martina sets out to provide a service that offers the best available option to suit your needs. Introductory meeting to discuss your needs and requirements. Explain fees and legislation around entry into residential aged care including respite and dementia specific care. Research suitable aged care homes. Plan appointments and attend facility visits with you. Assist with completion and submission of all paperwork for the services you require. Negotiate fees and charges on your behalf (where possible and if applicable). Offer recommendations to trusted independent aged care professionals (financial advisors, relocation services, solicitors or care at home providers). Facilitate the signing of agreements for admission. Follow up after admission to ensure you have settled in. When family friend ES (86yrs) was lost in the aged care 'minefield' regarding permanent care for NS (91yrs) I couldn't think of anyone better than previous colleague, Martina, to guide them through this journey. From their initial meeting Martina had ES feeling that a load had been lifted off her shoulders. Martina explained in appropriate detail the intricacies of subsidies and costs and then explained again, encouraging, reassuring ES and listening to family anecdotes. They are well on the 'journey', looking to have an outcome that works for all! Thank you Martina, your expertise and compassion have been greatly appreciated! It’s important to find the right home at any age – potentially, more so in our later years. Many busy professionals find themselves faced with Mum or Dad in hospital, no longer able to return home. They have to go into care. But where do they start? Moving from your own home into aged care is a huge transition, for everyone involved. It’s so important that this process be as nurturing and smooth as possible. I’m amazed by the relief on people’s faces as they realise they’re not alone in this process. I’m often told that much of the anxiety has been taken out of their hands. You’re really making a difference to someone at this time of their life. It’s invaluable.